Herbie Sykes is an English journalist and writer specializing in the history of road bicycle racing. 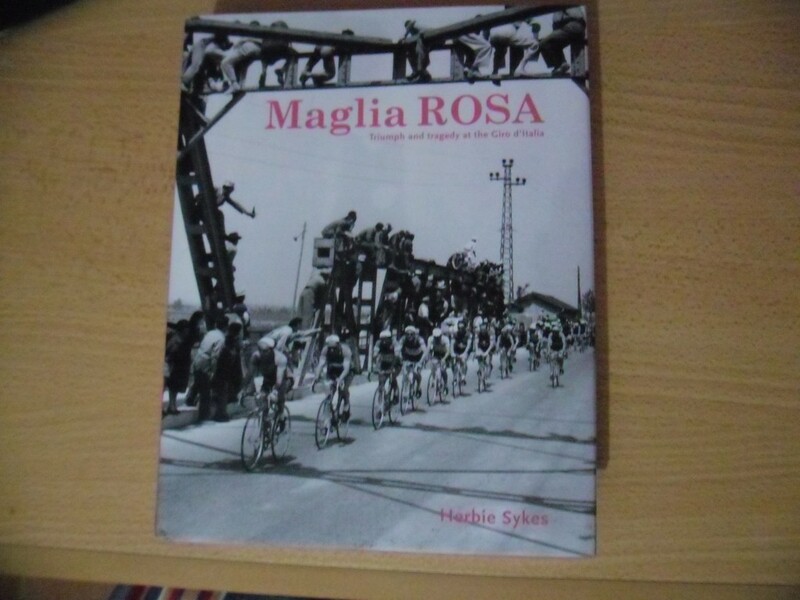 “Maglia Rosa – Triumph and Tragedy at Giro d’Italia” is his second book. It was first published in March 2011. Bicycling Magazine described it as “…a phenomonal, entertaining and beautiful book”, whilst it was Podium Cafe’s book of the year for 2011. The foreword of the book is written by Andy Hampsten, 1988 Giro d’Italia winner. The book also contains a lot of great pictures. The book contains a lot of great images. “Herbie Sykes was born in England in September 1967. He “studied” at a now defunct Lincolnshire High school, his chosen specialized subjects Manchester City football club, the history of the Tour de France, Punk rock and the Nicaraguan Solidarity Campaign. Sykes slipped ignominiously away from Academia aged just sixteen, armed with a working knowledge of gear ratios, the rudiments of socialism and the poetry of Wilfred Owen.